Part of the appeal of cult classics is being able to simultaneously love and hate a given film. Cult classics are flawed gems, with even the very best having characteristics which prevent them from ever being completely embraced. But it takes a special kind of cult classic to completely split your brain in two, with one half seething at how stupid it is, and the other half smiling in enjoyment. 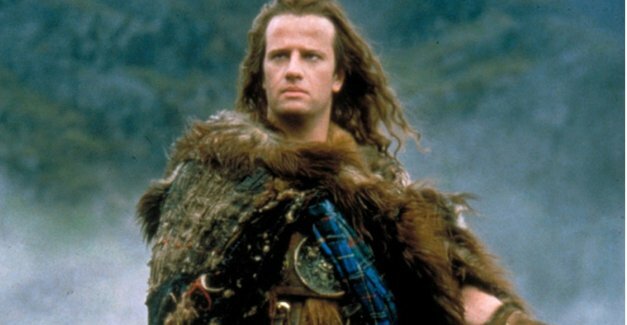 Highlander is one of these films. 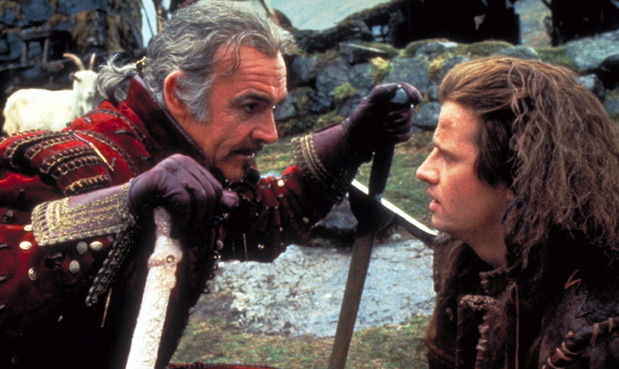 In the twenty-seven years since its release, Highlander has taken on a reputation as one of the quintessential cult films of the 1980s. It holds a similar position to Labyrinth in terms of fan affection, with the merest mention of the tagline producing knowing grins every bit as much as the opening lyrics of 'Magic Dance'. Both films, however, are victims of a level of nostalgia which has greatly rose-tinted their stories and their presentation. While both are still iconic, and deserving of cult status, they are not quite as good as we've been led to believe. 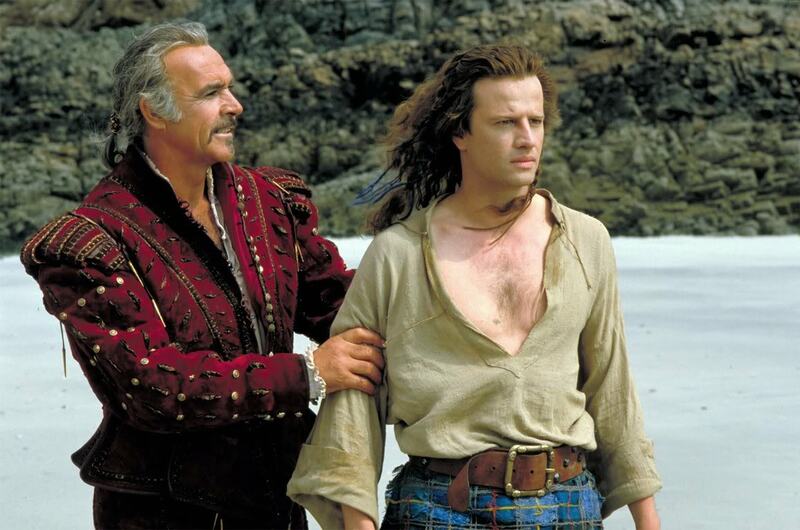 In Highlander's case this is compounded by the poor quality of the many sequels and spin-offs. 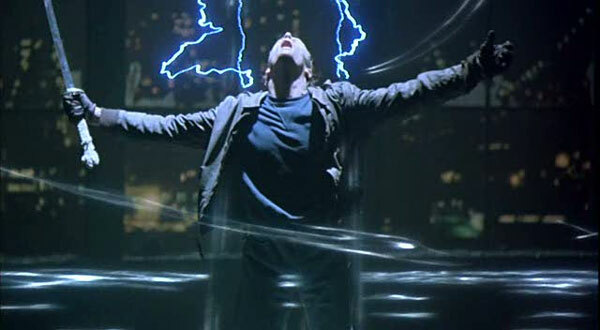 The most infamous of these is Highlander 2: The Quickening, a terrible film which retcons most of the original story and makes very little sense in any of its versions. I've joked about Highlander 2 in my reviews of The Phantom Menace and Revenge of the Sith, but the other sequels aren't exactly glowing - and that's before we get to the TV series, the animated series or the TV movie. In short, the subsequent instalments are so bad that fans have lionised the original, raising it to the status of sainthood to highlight just how sinful the others are. 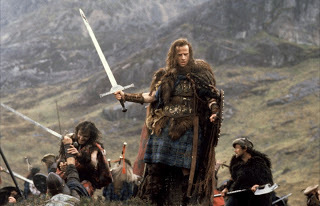 But if we approach Highlander outside of its reputation, there isn't really a great deal about it that impresses. 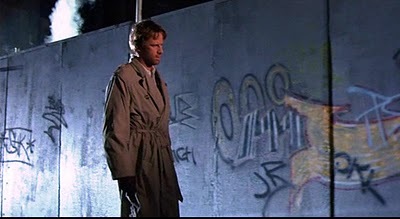 The film is directed by Russell Mulcahy, who previously made the cult hit Razorback but is best known for helming music videos for Duran Duran, Bonnie Tyler and other icons of histrionic 1980s pop. There are many great filmmakers past and present who have come out of music videos - Michel Gondry, Jean-Pierre Jeunet and Spike Jonze to name but a few. 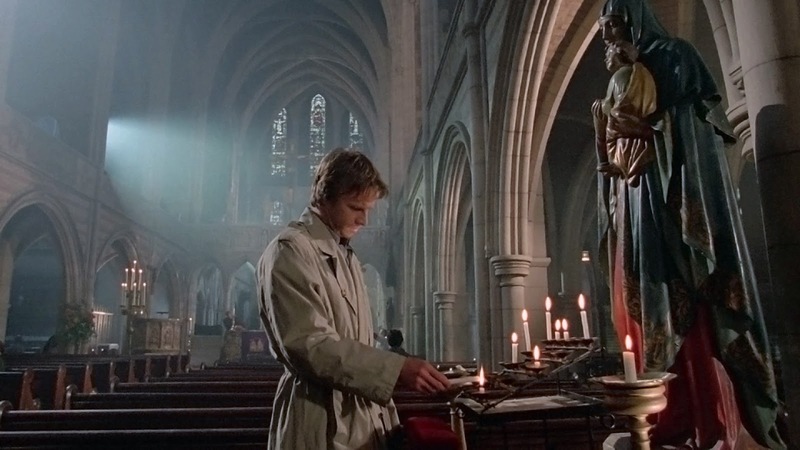 But unlike these talents, who went on to create work that was narratively gripping or ground-breaking, Mulcahy is not in any sense an effective visual storyteller. 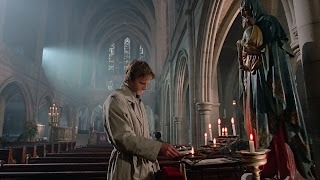 For its least its opening hour, Highlander looks and feels like a series of music videos, all discernibly directed by the same guy but with very little to tie them together. Mulcahy's compositions are very music video-esque, as are the camera angles, the character movements and the often preposterous sets. Not only that, several shots are so embedded in the medium that you would swear you recognise them from actual videos. 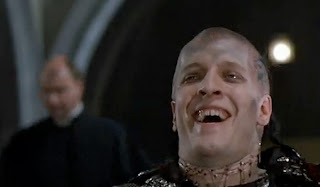 The first fight in the car park could easily be leftovers from Michael Jackson's 'Beat It', while the castle fight between the Kurgan and Ramirez feels uncannily like Gary Moore's 'Over The Hills And Far Away'. For the first hour of its running time, the film is empty, silly and fun in a so-bad-it's good way. The script consists almost entirely of exposition and montage, setting up Connor MacLeod's backstory on sets which look like they came from Monty Python and the Holy Grail. There's not a great deal of character development in either the past or present day segments, with Russell and Brenda's friendship not really going anywhere until the second half. We don't really root for Connor so much as we are stuck with him, and while he's not annoying or obnoxious, he's hardly endearing either. 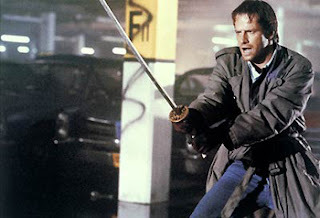 Like many cult films, Highlander never really gets to grips with what is or could be a really promising central idea. The idea of a secret conflict between immortals that has lasted for centuries has enormous potential, either as a straight-up fantasy or a fish-out-of-water story for the Brenda character who stumbles upon Connor's secret. And that's before we discover the nature of the Prize, which has great moral and spiritual ramifications for the human race and the champion who ultimately possesses it. Sadly, the film doesn't take any of its ideas to their natural conclusions, nor does it feel as weighty as it should considering the ideas it is addressing. It doesn't even make the most of all the different aspects of the universe which are set up in the scenes with Ramirez. The battle scenes are well-choreographed, but they are episodic and almost random in occurrence: there's no real feeling of progression, so that the final battle has less urgency to it. "The gathering" is invoked many times, so that we expect a huge, solemn event with highly organised combat, but in the end Mulcahy gives us a fight near an advertising hoarding, and it's pretty disappointing. The acting is generally pretty good, with most of the principal cast delivering a good performance. Clancy Brown is very good as the Kurgan, foreshadowing his equally villainous performance as Byron Hadley in The Shawshank Redemption. The make-up effects and costume work are very impressive, but it's Brown's sleazy demeanour and creepy delivery that really make the character stand out. Sean Connery looks the part as Ramirez, lending a lot of charm to the story, and Roxanne Heart does the best she can with an underwritten role. The one weak link is Christopher Lambert, who is essentially a pretty boy: his line deliveries are flat and he has very limited facial expressions. 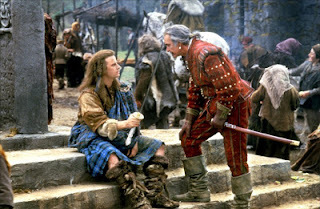 On top of an unconvincing lead, Highlander has a number of plot holes through which we must navigate. Listing or criticising plot holes is always much less interesting than discussing a film's themes, intentions or ideas. But the fantasy genre relies on creating believable, enveloping worlds for an audience, which depending on the filmmakers' intentions either hold up on their own or draw intriguing parallels with our own world. 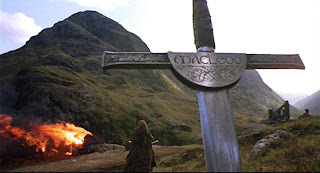 Some discrepancies can be overlooked if the basic mechanics are intact, but Highlander's mythology isn't entirely sound. Straddling the plot over two different time periods creates a number of questions - for instance, how can the Kurgan's sword be a product of modern technology if he's had it for 400 years? The reason for not fighting on holy ground is never explained, nor is the loss of the head as the means for killing an immortal; the latter makes a little sense once the Prize has been revealed, but until then it feels incredibly arbitrary. And then there is the business of carrying swords, with Lambert putting out full-length blade from his coat pocket on several occasions, including while he is sitting down. The film never explains how this is possible or offers a solution to accommodate this (see Revolutionary Girl Utena for such a solution*). 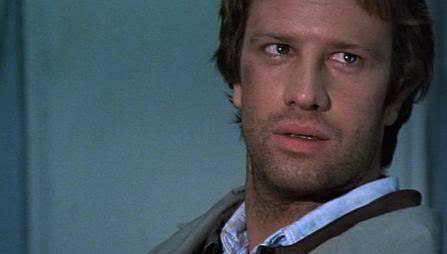 At the hour mark, however, the film starts to pick up a little with the death of Connor's love Heather. 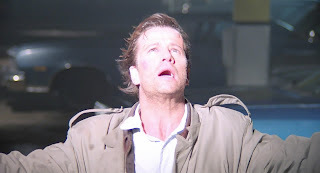 We see her slowly age (in montage) while Connor never grows old, and when she dies the Highlander is left alone, incapable of suicide or any form of release from this pain and sorrow. The film doesn't exactly grow in substance at this point - it doesn't have the same level of insight about immortality present in the best sci-fi or vampire fiction. But it does give us more of an emotional hook, and that ultimately is what keeps us watching. As a result of this series of scenes, Highlander gains a whole new energy and begins to click a lot more in its comedic elements. Where its first half induced awkward laughter from its many shortcomings, the second half contains several genuinely funny moments - the best of these being the 18th century duel in which Connor keeps getting up from being killed. Much like Logan's Run, the film perplexingly begins to fire and gain significance at the very moments where we cannot take it seriously. What we end up with is a strange, oddball little film which is driven first and foremost by a desire to have fun. This is reflected in the Queen soundtrack, most of which appears on the album A Kind Of Magic. It's not up with their earlier soundtrack for Flash Gordon, but both scores are driven by a need to celebrate the ridiculous and allay all worries about the aspects that don't make sense. The more we think about Highlander's mechanics, the less we enjoy it, because it is designed to be engaging tosh and nothing more. 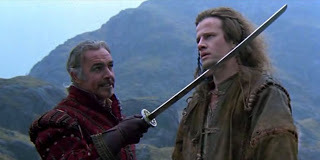 Highlander is a very silly and stupid film that is ultimately too entertaining to hate and too flawed to entirely embrace. It could be dismissed as a catalogue of missed opportunities, with a list of shortcomings that would derail another production in an instant. But as ridiculous and idiotic as it may seem, it still contains much that's enjoyable and entertaining, at least in passing. Make no mistake, it's utter tosh - but it's perfectly agreeable tosh. * For a good introduction to Revolutionary Girl Utena, check out JesuOtaku & Oancitizen's crossover review of the film version here. It provides a good introduction to a complicated series - and is also very funny.